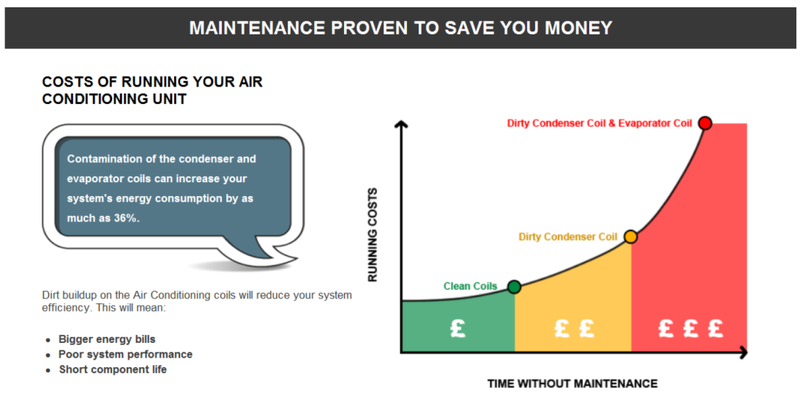 Our air conditioning services packages start from just £79 per year. Please contact us or give us a call on 08456 120 326 for a tailored quote for your air conditioning servicing. Since its inception Air Conditioning has been used in the retail and leisure environments. One of the first applications for comfort cooling was in Cinemas in America which typically were so hot in the summer that no one went to them. This lead to cinema companies spending over $1m dollars in today’s money on improving the comfort of Cinemas for their customers by utilising Air Conditioning. Once the Air Conditioning was installed there was a dramatic increase in people visiting the Cinema and in turn profits. Other industries followed suit such as the retail industry. Beginning with large department stores in the USA who found that if they provided a comfortable environment for their customers that they were more likely to visit, stay in the store and purchase. Blocked filters, contamination of the condenser and evaporator coils on an air conditioning system can increase a systems energy consumption by as much as 36%. Further effects on the system include reduced airflow, reduction in heating and cooling capacity, longevity of the fan motor and system lifespan decreases. The ultimate result of which is increased running costs. Blocked filters affect the performance of Air Conditioning by such a great amount. Very nice guy, clean, friendly – got the job done quickly. 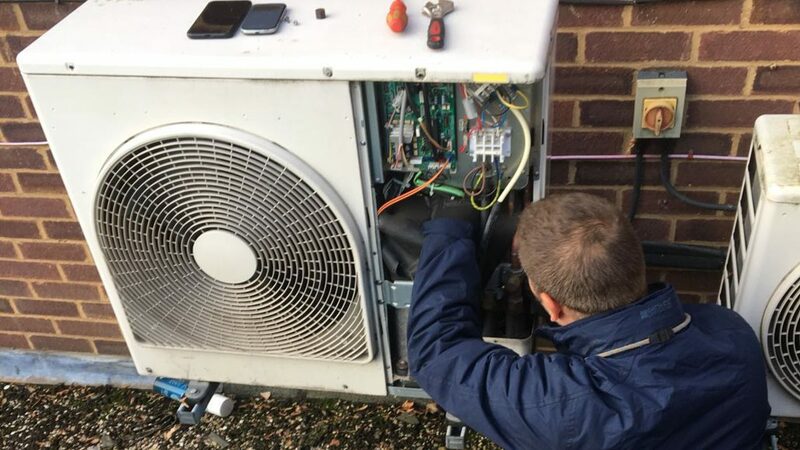 Our full 30 point air conditioning service check-list ensures that every aspect of the unit is thoroughly inspected.